Asmamaw and Tesfalem, free, with Blena Sahilu. Photo by @BlenaSahilu via Twitter. 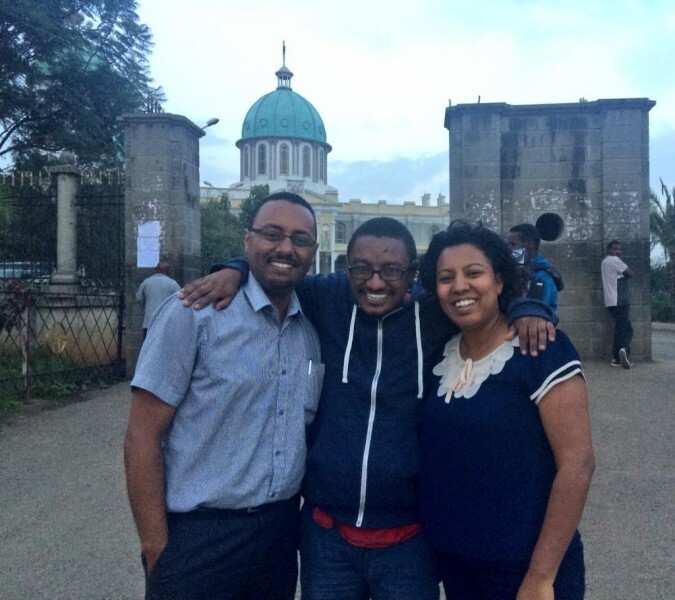 Three writers walked free in Addis Ababa, Ethiopia on July 8 after spending 439 days behind bars on terrorism charges. Journalists Tesfalem Waldyes and Asmamaw Hailegiorgis and university philosophy professor Zelalem Kiberet, also a Global Voices translator, were arrested last April along with six other bloggers and journalists, most of whom worked with Ethiopia’s Zone9 blogging collective. All charges against the three men have been dropped. The same day Radio FANA, a media outlet known to support the ruling party, reported that authorities had also dropped charges against bloggers Mahlet Fantahun and Edom Kassaye. Both women were released on July 9. Four of the bloggers remain behind bars and continue to face charges in a trial that has only barely begun in earnest. This group includes Befeqadu Hailu, Natnael Feleke, Atnaf Berahane and Abel Wabella. All four are Global Voices authors and translators. 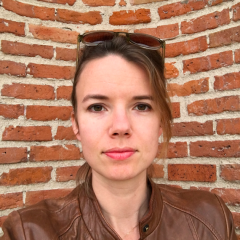 Prior to the 2014 arrests, Zone9 covered social and political issues in Ethiopia and sought human rights and government accountability. Its contributors were known for their critical stance on government policies and practices and they had faced various threats before their arrests last year, but had not faced direct legal challenges until April of 2014. After spending many weeks behind bars with only informal accusations of inciting social unrest via online means, they were charged under the country’s Anti-Terrorism Proclamation. Zone9 members together in Addis Ababa, 2012. From left: Natnael, Abel, Befeqadu, Mahlet, Zelalem and Atnaf. Photo courtesy of Endalk Chala. 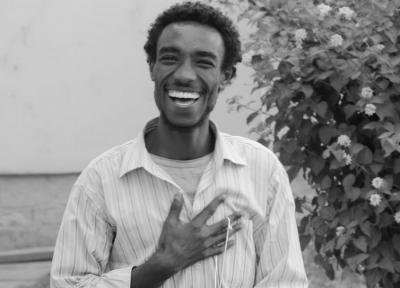 And Amanuel Tesfaye reminded us that the #FreeZone9Bloggers hashtag will remain strong until that day comes. Visit the Free Zone9 Bloggers campaign page to read all Global Voices coverage of the case. This worked ? It shows you, sticks, not words make sense to these guys. Tighten the pressure some more.